An excellent semi pro/Pro camera! This was one of the finest cameras I've ever worked with. I had 3 of them and all 3 performed flawlessly for many years on professional assignments! The Bottom Line: When I first bought this DSLR, I knew that I would get a lot for my money (this is not a budget friendly DSLR), and it did not disappoint. For the time I used it, I produced some of my favorite photos to date. The only reason I ended up getting rid of it was because of its unrealistic weight (for me, anyway), and could not see myself carrying well over two pounds' worth of camera on my shoulder all day long. 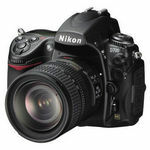 Otherwise and exceptional Nikon DSLR. Image Quality This DSLR was possible the best DSLR I have ever worked with. The quality of photographs is nothing short of outstanding, the colors are the most accurate I have ever seen, the White Balance always spot on, as well as the exposure, even in very low light. I was extremely impressed at the sharpness of some of the photos I have taken in very low light (like in a church), even though I had the ISO set to 3200, which tends to result in very grainy photos. This camera works so well on its own, that I rarely ever had to adjust the lighting, contrast, colors etc out of the camera. Performance As mentioned above, absolutely outstanding DSLR. It is fast, the focus point is aways super sharp, even for action shots, and the quality of the photos really impressed me (and I have used MANY Nikons DSRs!). 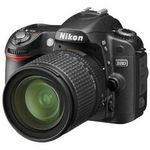 Ease of Use This DSR has more functions than most people will ever need, even professional photographers, and may seem a bit overwhelming at first. 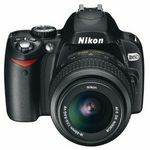 If you stick to the basic functions, then it is a very easy camera to use, but when you get into the nitty-gritty and technical functions of this camera, you may very well feel like you really don't have a need for all of the functions this camera is able to perform. Best used by people who know a lot about photography and all of the technical aspects of it. Durability With a metal body and frame, you can almost bang this camera around and never worry about it breaking. It is designed to be handled frequently and may I say, even roughly, and it definitely passes the sturdiness test. Battery Life Nikon advertised that you could take up to 2700 shots with one charge. I tested that theory and it proved to be 100% accurate. I could not believe how long the battery charge lasted, even when I used the built-in flash, and reviewed photos after every shot. Simply outstanding battery life. Portability I am quite sad to have to give this Nikon D200 such a bad grade, but this is the ONLY reason I ended up returning it after a few weeks of playing with it. It simply is MUCH too heavy. Without a lens, it comes in at 830 grams (which is about 1.8 pounds), and add a lens to the body, and you end up with well over two pounds. If you have someone that will carry your heavy bag of equipment around, then this is the camera for you, but if, like me, you are 100% responsible for carrying the camera around, I would not recommend this camera at all. It is simply much too heavy, but professional cameras tend to be that way and it should be expected, but it is also something you should be prepared for. I married into this camera and my husban has not seen it since! I love taking pictures with this camera and playing with all of the settings. You will want to know something about photography to get the most out of it. I know there are a lot of great cameras that have come out since with insanely better resolution capabilities but I have not seen a need to change up what isn't broken. I hope to one day get some better lenses which I know will greatly increase my phtographing experience. Until then I am happy with all that this one can do. If I want to just snap some shots and not lug this along I use my phone, but for most of my photography this is what I break out. Ease of Use Some features were difficult to figure out initially, but that's what a manual is for, right! 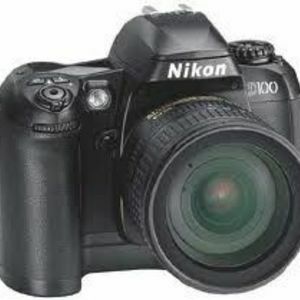 I am a Navy photographer and use the Nikon D200 for my job. 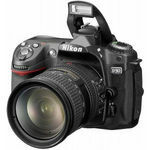 It is a very reliable camera and has a lot of options to individualize my photos. Instead of relying on computer programs I can edit and shoot many things within the camera, including RAW. Double exposure is one of my favorite and not found on very many digital cameras. Though there is always a special place in my heart for black and white film photography digital is another option to consider and this camera is very affective.